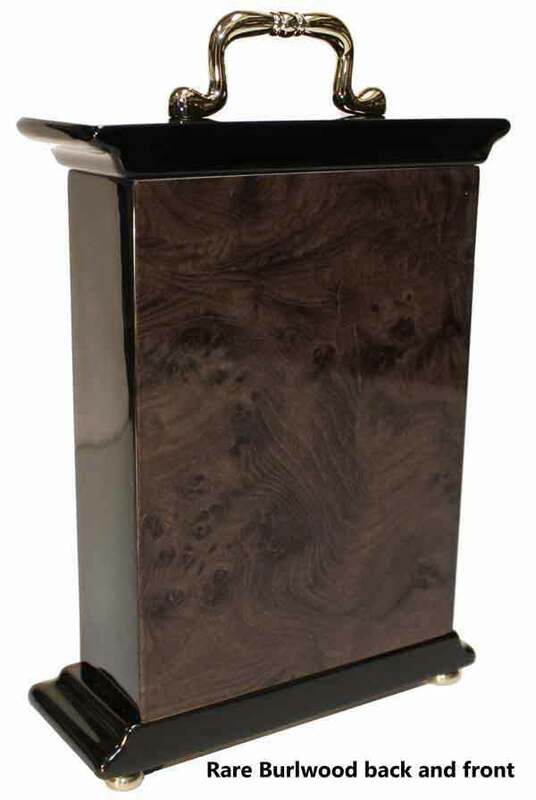 This is a bracket style Desk Clock with attractive high-gloss walnut piano finish on hardwood featuring a rare wood burl pattern on the front and back, with high polished black "Piano Finish" sides, top and base. 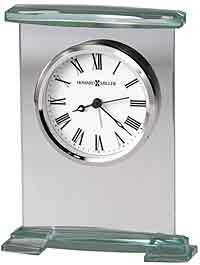 Polished brass button feet and a polished brass tone waterfall bezel and glass crystal. 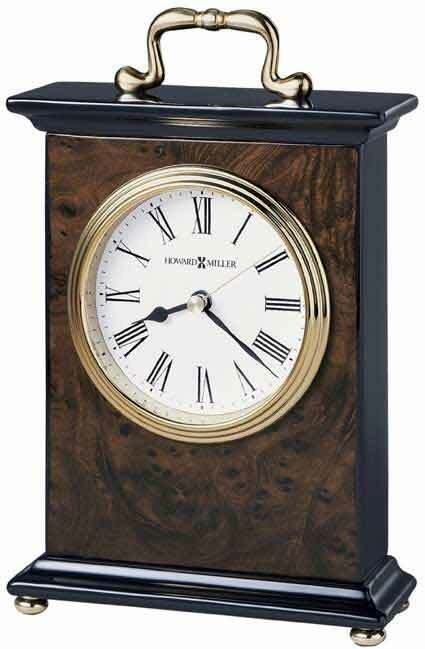 The off-white dial features black Roman numerals, black hour and minute hands, with a brass second hand. 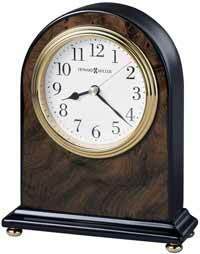 Accurate Quartz movement includes "AA" battery. 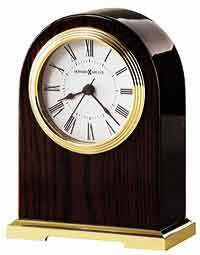 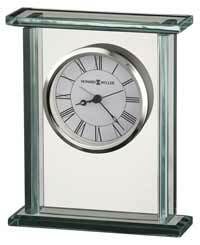 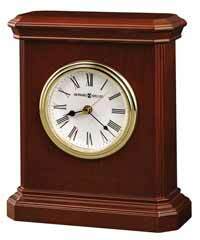 Clocks for sale at The Clock Depot including the 645-577 at discount prices.